I hope you have all been well and keeping warm. We have been afflicted by one cold after another since my son started playschool, but the last couple have been fairly brutal. I used to wonder why colds are virtually non-existent in the summer months but now I am wiser. School is out. I think they should have large prominently displayed biohazard symbols on all school entrances. Warn all unsuspecting parents of what is to come.... So, I have been very absent from blogland and I do apologize. Hopefully I will be able to get some visiting in soon. 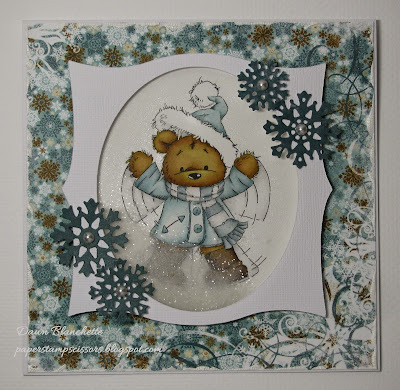 A new challenge started today at Christmas at Sweet Stampin' and our theme this month is Let it Snow. There are still a couple of weeks left before the jolly man dressed in red squeezes down the chimney, so if you still have cards to make, we would love for you to join in. If you are all finished your cards, this challenge goes on into the new year, so you could always get a head start on your cards for 2014 :) I thought shaker cards look especially snowy, so that is what I made. I just love this teddy - he reminds me of my son. He loves making snow angels. I hope you will pop by Christmas at Sweet Stampin' to take in all the gorgeous snowy cards the design team made and then come and play with us! 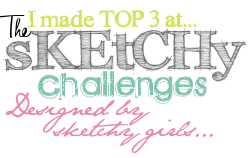 We have a fab sponsor - Flat Friends is offering 4 of her beautiful digi's to one lucky winner! Thanks so much for visiting. I hope to catch up soon. Sorry to hear that you and your family have been unwell, I hope you are feeling better now. Your card is gorgeous, I adore that cute image, beautiful papers and fabulous shaker design. Lovely card! 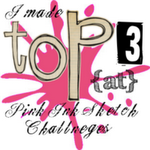 Thank you for joining us at ABC's Challenge! Good luck and please join us again! I absolutely ADORE this shaker card - the motion in the image makes it even more perfect! 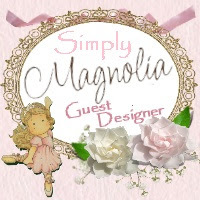 It is such a treat for me to come to your blog and see all the darling cards you make. 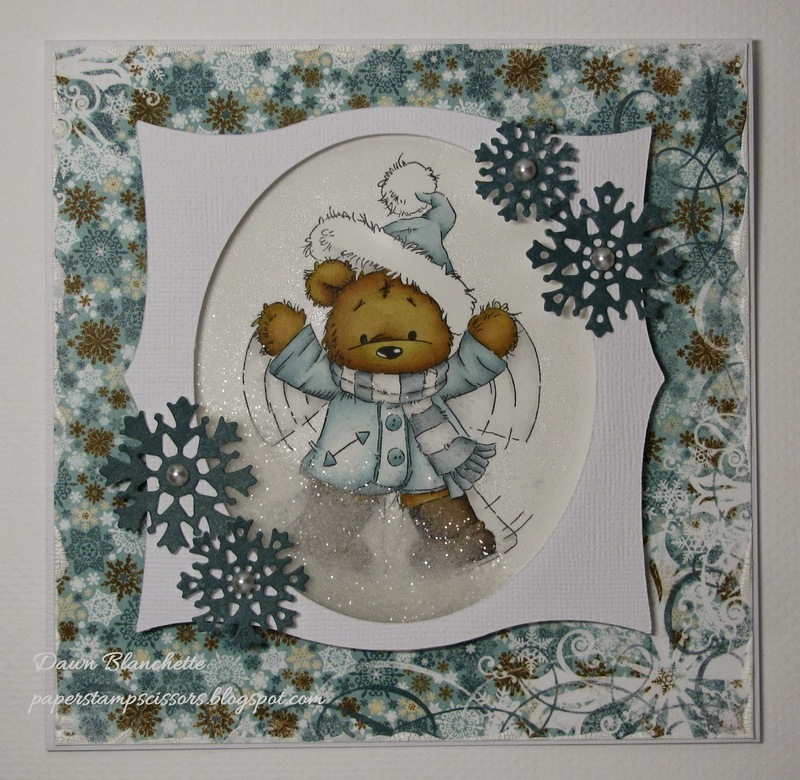 Love the shaker effect on this one and that darling teddy bear! Such a pretty card and I love the shaker design. The little bear is adorable. Your backing paper is so stunning too. 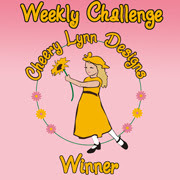 Thanks for playing along at Fab'n'Funky Challenges. Hope you have a fabby festive!